Welcome to Salzburg, Svet! It is my pleasure to greet you here and narrate you the story of this marvellous city for the couple of hours you will spend here today. I know you are weary from your adventures throughout Europe, but I assure you this story will fascinate you. Yes, Salzburg might not be as big as Vienna but it is nowhere less aristocratic, if not more impressive! “Hello, Svet, my name is Mirabella. I am going to show you my verdant gardens today. Are you ready to immerse yourself into paradise?” Oh, God is funny sometimes when he is in a great mood and his creations can make even the stiffest jaws drop with a thunder. Wolf Dietrich von Raitenau, who was a prince-archbishop, was so deeply in love with Salome Alt that he decided to commemorate his love for her by building a castle surrounded by drop-dead gorgeous gardens. At first, it was famous as Schloss Altenau, but subsequently, Markus Sitticus renamed it to “Mirabell”. My name finds its origins in Italy and is a compound of mirabile, meaning “admirable”, and bella, meaning “beautiful”. That’s why my glorious gardens and Schloss Mirabell has received that name beyond a shadow of doubt. 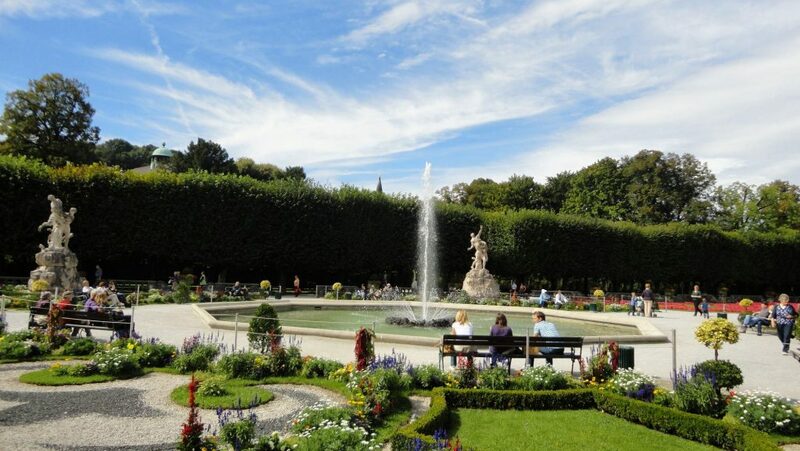 The city of Salzburg started benefitting from my gorgeous gardens when they were made public for the first time in 1854, thanks to Emperor Franz Joseph. Up until now, it is a masterpiece of garden architecture and a very famous photo motif. Svet, it was Franz Anton Fürst von Harrach, a prince-archbishop, who ordered that Schloss Mirabell (Mirabell Palace) should undergo a thorough remodelling by the then popular baroque architect Lukas von Hildebrandt who did the work between 1721 and 1727. Dear Svet, it was not all roses and daisies, though. In 1818, a big city fire produced great damage to the palace, but luckily the Marble Staircase and the Marble Hall were not damaged. Nowadays, Mirabell Palace is home to the city government offices and those of the mayor of Salzburg. The Marble Hall today is one of the most stunning wedding halls worldwide, and it was here where Leopold Mozart, together with his children Nannerl and Wolfgang performed music. My lush gardens, Svet, were entirely redesigned in 1690 under Archbishop Johann von Thun. One cannot mistake the geometrical form, which is so emblematic of the Baroque. What adds more to the gardens’ splendour is their orientation towards the fortress and the cathedral. Salzburg’s early-baroque gardens adorn themselves with opulent floral ornaments, decorative urns, precisely clipped trees, and railings. Later were added garden areas lined with beech and linden trees, as well as a hedge theatre. If we add to that the splendid fountains, the outstanding orangery, and the spectacular stone figures, we will end up with a garden like no other. Now, let me tell you, dear Svet, about a place where you can take your Bethesda and from where, together, you can contemplate the city, the meandering river, and the staggering Alps – all at the same time. The Salzburg Fortress, Svet, has been built, following an order of the Prince-Archbishops of Salzburg. Measuring 150 m (490 ft) in width and 250 m (820 ft) in length turns it into one of biggest European medieval castles. Hohensalzburg Castle or Fortress Hohensalzburg, as it is also known, sits at an elevation of 506 m (1,660 ft). Svet, this fortress can be reached by a funicular railway. An exciting fact about the fortress is that during World War I, it served as a prison for Italian inmates and Nazi activists before the 1930s Anschluss with Germany. Svet, this is how the city looks from Hohensalzburg. 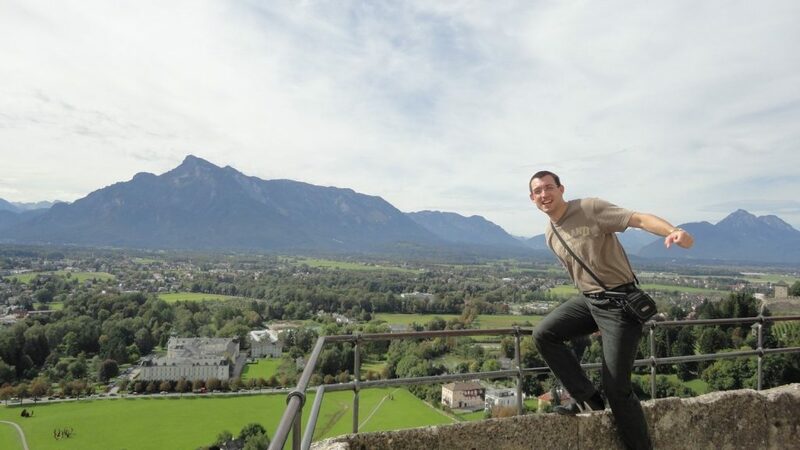 The Alps are amazing from the Fortress, aren’t they? Are you done posing, Svet? 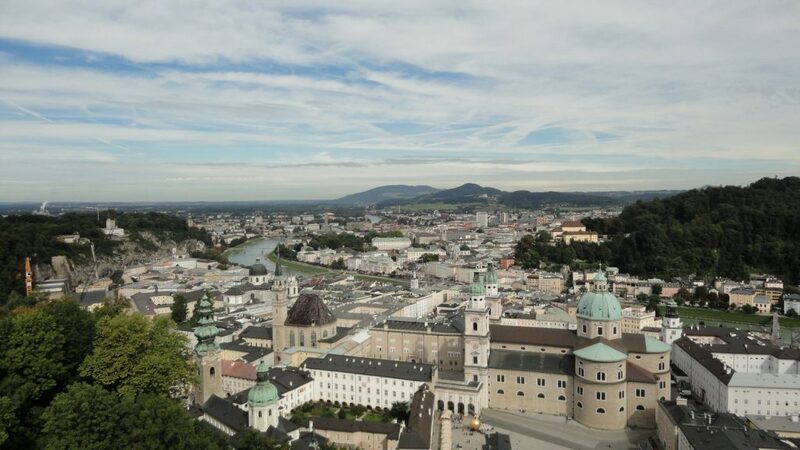 : )) Let’s now go down from the castle and I will tell you a bit more about the stunning baroque cathedral (Salzburger Dom) that Salzburg is proud to have. It was dedicated to two saints – Saint Rupert and Saint Vergilius. It was the former who established the church in 774 on a Roman town’s remains and after a devastating fire in 1181, it was reconstructed. 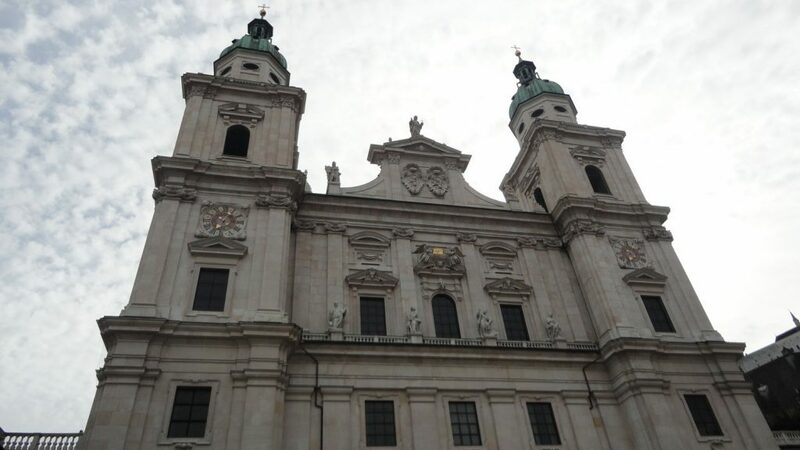 The Salzburg Cathedral owes its current baroque appearance to the seventeenth century when it was entirely rebuilt by Prince-Bishop Wolf Dietrich Raitenau. What is really striking about this cathedral is that it has 7 bells, the largest of which weighs more than 14 tonnes. It is called the Salvator bell and comes second in Austria after the Pummerin bell which tolls in the Vienna Cathedral. Svet, dear Svet, we have come to the most interesting and utterly fascinating part of our story. I will lead you into the world of music. 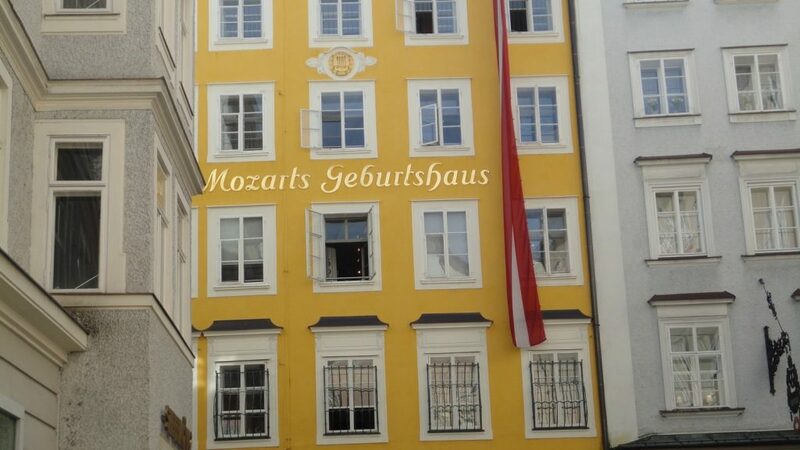 It is where one of the brightest musical minds – Wolfgang Amadeus Mozart – was born and where he created his masterpieces which are gathering more and more momentum in the latest days. Mozart demonstrated a phenomenal ability from even before he entered school, leading to being hired as a musician at the court of Salzburg at the fragile age of 17. For his short 35 years, he was able to compose over 600 works, the large majority of which recognised as zeniths of symphonic, chamber, choral, operatic, and concertante music. Wolfgang Amadeus Mozart, Svet, is surely one of the most everlastingly famous classical composers (gurus, if you like), and the influence he had and still has on succeeding Western music is profound. I hope you liked your stay in Salzburg, Svet. I bet my hiney that you are going to revisit this jewel of a town, embraced by the river and the drop-dead gorgeous Alps. Since your time today was limited, next time, I will lead you into the opulence of the Mirabell Palace and show you inside the House of Mozart where the real magic happened. With this said, there is one last thing I almost forgot. Salzburg, literally meaning “Salt Fortress” or “Salt Castle”, derives its name from the barges that carry salt on the Salzach River which crosses the city. In this regard, riding a bike along the Salzach is an activity I highly recommend. PS: Svet, if you’d like to marvel at Salzburg with even more ease, this GPS version of the city will help you. Gorgeous has a new location – Salzburg. See you next year, Svet! Thank you both, Svet and Mirabella, for the wonderful story! Looking forward to visiting the place! You are very welcome, Bibs! 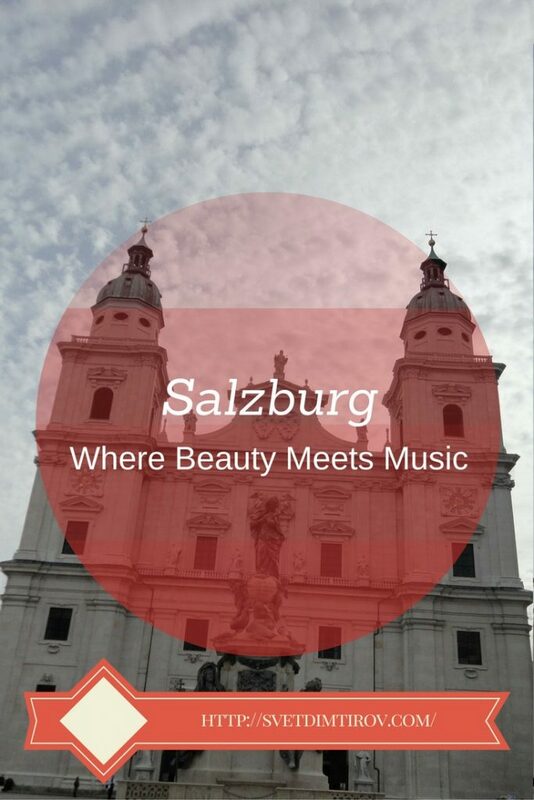 It was a pleasure for us to tell you the fascinating story of Salzburg! 🙂 Let’s go together to peek inside the Palace! I always feel like Austria is a little overlooked in favour of Switzerland but I think you get such better value in Austria and yet have not made it to Salzburg yet. It is definitely on my list but I keep getting seduced by the alps instead! You are absolutely right about that, Anne! Austria is a bit overlooked, but it is so worth the visit. It has a gorgeous scenery and much more reasonable prices than CH. Next to Salzburg, make sure to also visit Linz and Vienna and drive around the countryside. I can understand why people would go to Vienna and ditch every other city in Austria. However, I hope I would inspire more people to visit this gem of a city and immerse into its beauties! 🙂 Thanks for the kind words, Anna! Salzburg looks fascinating and a little easier to manage as well. 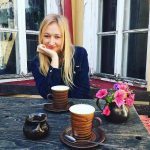 I love the originality of your article, too – very fun to read! It really is quite fascinating a destination! Thanks very much for reading and I am very happy that you like it, Tara! 🙂 Have a great day! 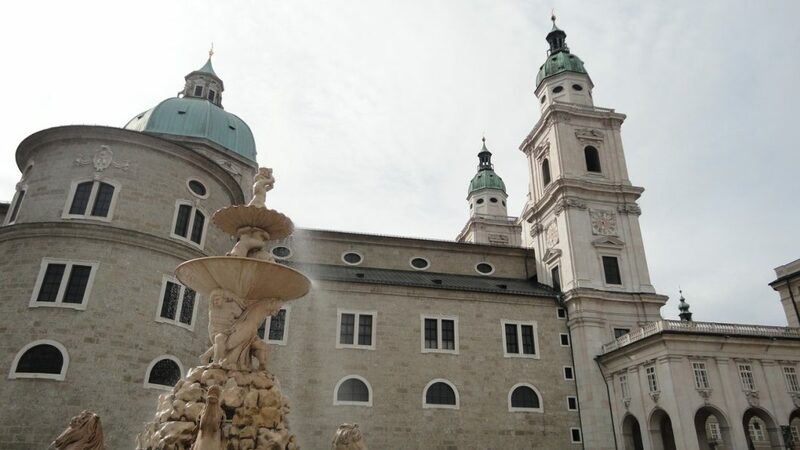 We loved Salzburg when we were there last year. It’s easy to walk around the historic centre and has lots of cool things to do. I did find it friendlier than Vienna too. You have such a light and inviting writing style. 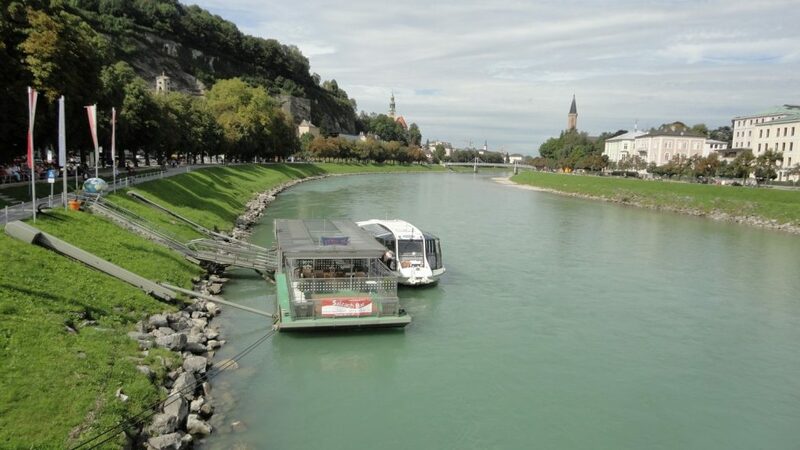 I felt that I was along for the ride in Salzburg with you! Look forward to following more of your adventures!